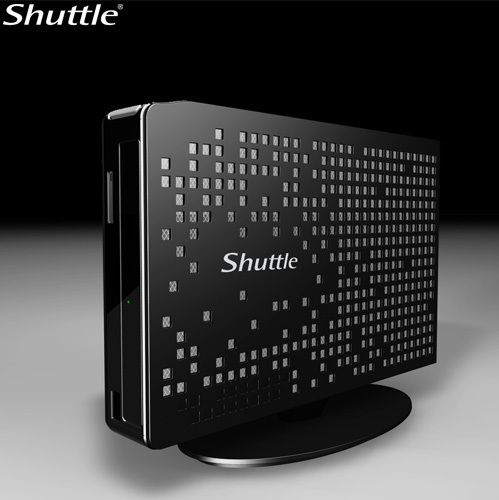 Shuttle launches the new ultra-compact XS35 desktop PC, which is only one-third the size of the previous generation slim PC. The tiny machine is powered by Intel Atom D510 processor, Intel NM10 Express chipset and NVIDIA ION graphics for full 1080p video experience and Blue-ray playback. 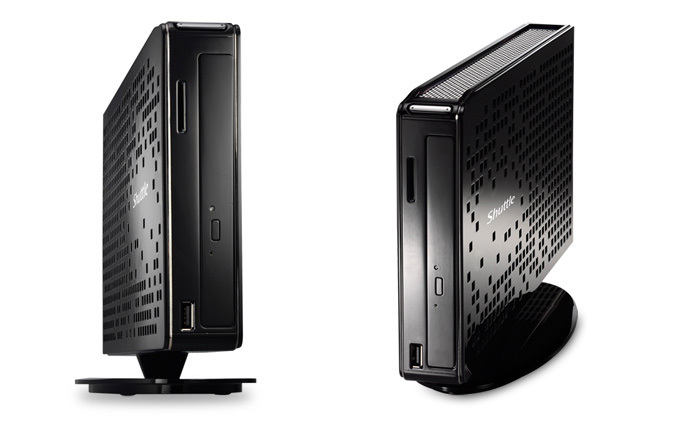 The space saving XS35 measures only 252 x 154 x 33 mm and even packs an optical drive. 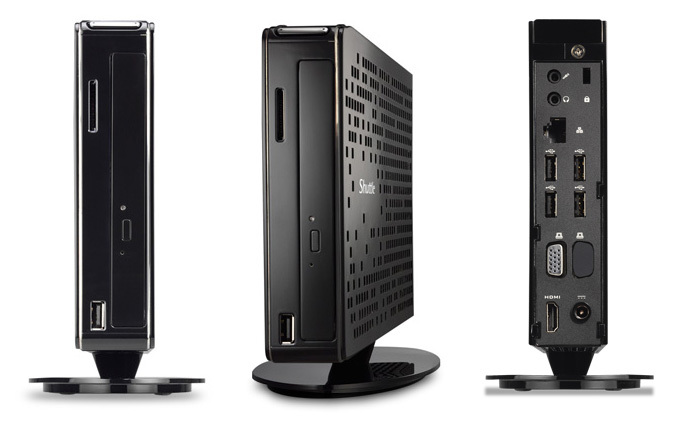 The XS35 has a black enclosure with a multitude of small silver holes on it to resemble a design inspired by the concept of a “starry night”and in the same time to help dissipate heat, allowing the XS35 to “be the only one in its class to be completely passively cooled unlike other slim PCs.” This fanless design makes it a quiet, dust-free and low in energy consumption. The whelp also packs 2DDR2 slots, 2.5″ SATA HDD, Ethernet, 2.1 channel High Definition Audio (IDT92HD81), 4-in-1 card reader, 5 USB ports and D-sub and HDMI connectors. Shuttle XS35 also feature VESA mount capability for mounting to the rear of a LCD monitor or a TV, makes it a ideal full HD media center for your everyday entertainment.